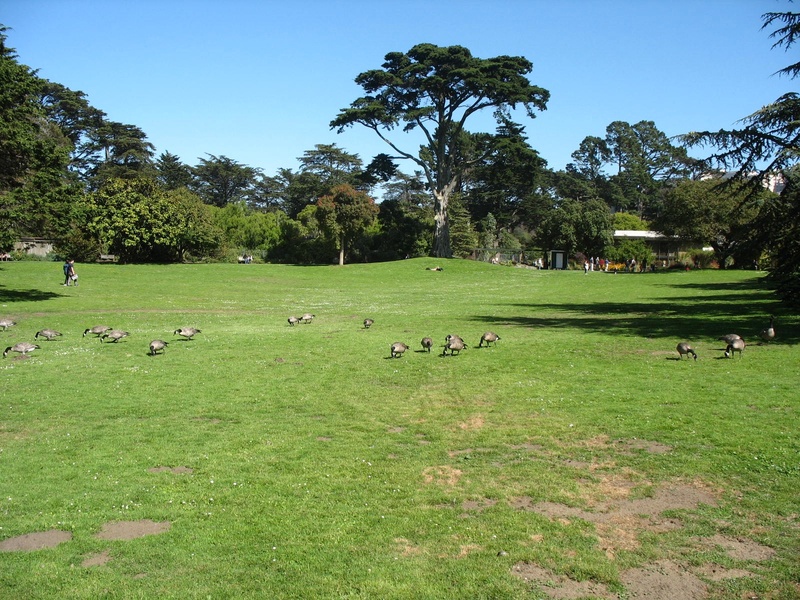 For generations, the Strybing Arboretum in San Francisco’s Golden Gate Park provided a quiet, green, automobile-free refuge to one and all – absolutely free of charge. 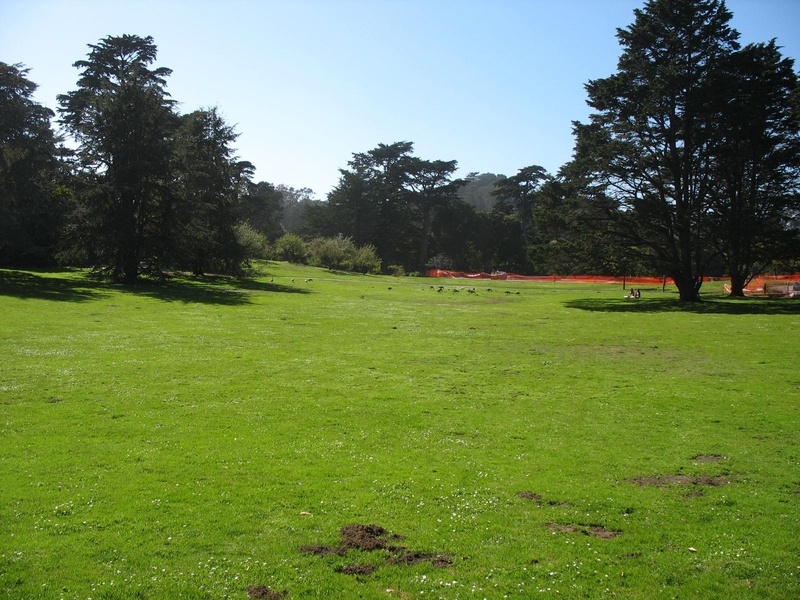 It was one of the most comfortable places in the city – a place to stroll, contemplate the trees and flowers, or just sprawl on the grass. 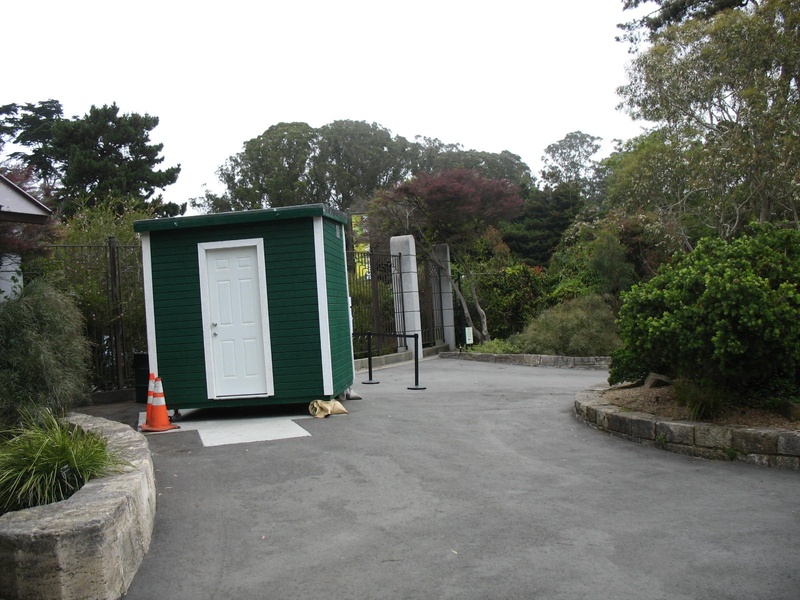 Cheap-looking, ugly kiosks have been installed at both entrance gates. Paid staff ask visitors for either the fee or proof of San Francisco residency. Over the course of about a month and a half, this new fee has had a profound effect on visitorship to the garden, at least in our anectodal observation: it has plummeted. On the Sunday before Labor Day, it was a bright, warm, sunny day in San Francisco. After a dank, foggy summer, the sunshine was a welcome relief. Normally, the central lawn in the garden would be crowded with couples, families, sunbathers, and picnickers of all descriptions. Instead, it was deserted. Well, not quite deserted. Some local Canada geese were having a fine time. This lack of use of what had been until recently a public space was not because there was no one in the park. Another lawn and garden area along JFK drive, just north of the Botanical Garden, was well used. 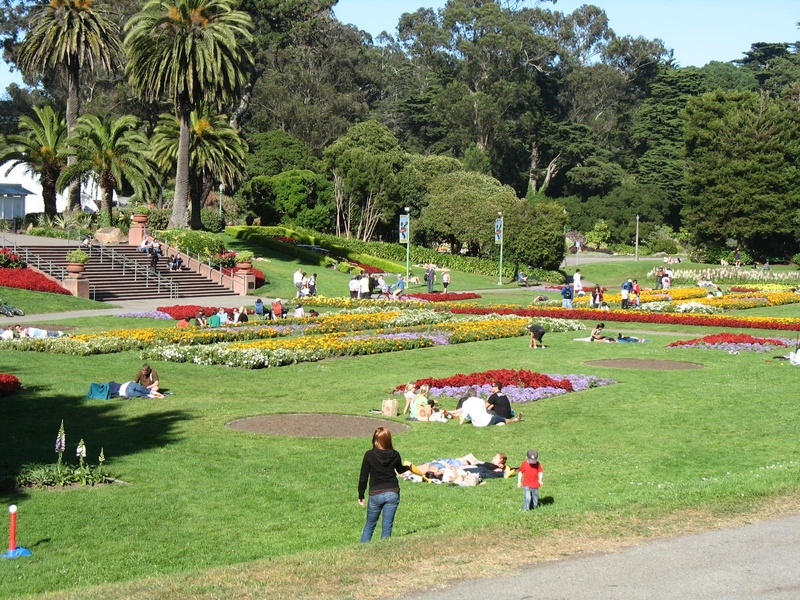 This is another case of an admission fee being a primary barrier to comfort – in spite of the fact that it does not apply to San Francisco residents. It’s a short-sighted, parochial policy that is hostile to non-residents and residents alike. Walking into a space without hindrance and being forced to flash ID are two different types of experience. Mixed groups of residents and non-residents are far less likely to just casually visit the garden. With San Francisco’s budget crisis only set to get worse, it’s only a matter of time until the admission fee extended to city residents as well. A public space of long standing will have been totally privatized – essentially stolen from the public. And it will remain empty. You are currently browsing the Please Be Seated blog archives for September, 2010.